This pedal shootout was done in 2008. I used as many OD/Distortion pedals as I could find at my local guitar store. To compare the sounds of different OD distortion pedals at the same relative settings using the same gear and recording setup. For this setting, whatever distortion control was available on the pedal was turned all the way down. The tone controls were adjusted to match the sound of the clean signal as closely as possible, and the volume set to provide a slight volume boost to the amp. 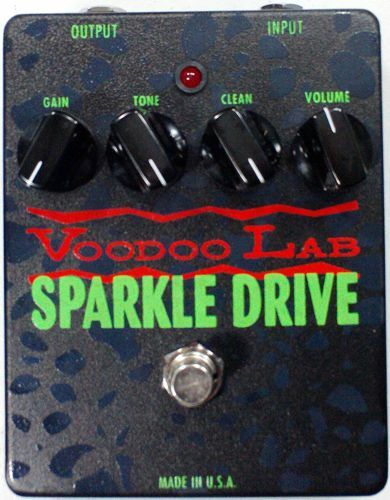 Using the same amp setting as “Clean Boost”, the pedal was adjusted so that the distortion knob was set exactly halfway between no distortion and maximum distortion. The tone controls were re-adjusted to match the clean tone again, and the volume reset to provide a slight boost over the clean volume. The amp was set to a clean tone, master volume was maxed out but the input volume was set fairly low. The resultant tone was fairly weak on it’s own. 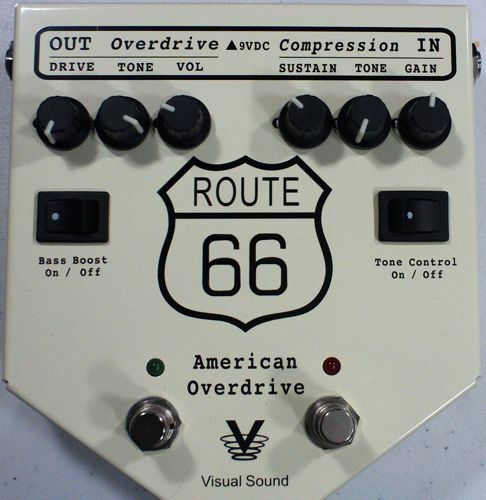 The pedal was then set with the distortion control maxed out, the volume and tone controls adjusted accordingly. This exposed the distortion circuit of the pedal by testing if it could produce enough distortion and sustain into a low-volume, clean amp, to allow for convincing soloing (for me at least). The amp used for this shootout was a Fender Blues Junior, Tweed NOS edition. It is my amp of choice right now due to it’s size, portability, and because it’s one of the few amps that I’ve felt produces good sounding preamp distortion without losing too much tone in the process. It is not modded in any way (yet). It is an extremely articulate guitar. I place a Rode NT1000 Studio Condensor microphone about 19” away from the front of the Blues Junior and 10.5” off center. The mic was set with the diaphragm at 13.5” off the floor, and aimed at the center of the amp, at the same height. This position was chosen after about 20 minutes of experimenting with various mic placements to achieve a clean tone that I felt was representative of what the amp really sounds like. Anyone who’s done any recording knows that even the slightest movement of the microphone either in position or aim can have a drastic effect on the recorded tone. So it was fairly important to me to get a mic position that yielded a good sounding clean signal. My only complain is that this mic is much more sensitive to the lower frequencies than the human ear so everything sounded fatter on tape than it sounded live. I compensated for this in the “studio mix” version of each recording by introducing a uniform bass cut in the EQ of each recording. I then assembled 3 backing tracks in 3 different pairing on one track in GarageBand. The first pairing was for the Clean Boost test, the second paring was for the Partial Gain test and the last pairing was for the Full Gain test. Lastly the pedal was setup for Full Gain and recorded over the last pair of backing tracks. Each pedal was recorded onto an separate track in GarageBand. When all pedals had been recorded, I imported the project into Logic Express. The first thing I did was to normalize every pedal recording to -3db. This was to eliminate any recordings that came out louder from being percieved as better sounding due to being louder. The first goal was to create studio mixes of each pedal, mixed with the backing track. As I mentioned before, the Rode NT1000 picks up a lot of low end which made each pedal sound fatter and more bass heavy than it sounded live. For the “studio mix” version of each recording, I wanted to apply a uniform EQ, and reverb to each pedal to decrease the muddiness and give a bit of ambience. So I assigned all the pedal tracks to run through an auxiliary bus and mixed the auxiliary bus into thhe main outputs. I inserted an instance of the Waves Q4 parametric equalizer into the auxiliary bus. I set it to provide just a slight treble boost, and a slight mid and bass cut. This took the muddiness out of each track. The important thing to remember is that it was applied to the mixdown of each pedal equally. I also put an instance of the Waves RVerb plugin across the auxiilary bus to give each pedal recording some ambience. Each recording was mixed down to a separate .aif file, which was normalized after exporting. These .aif files were converted to high bitrate (192KHz) mp3 files. For reference purposes, I also mixed down each pedal to separate files without any effects or backing tracks as well.